Maharaja Pratap Singh Gaekwad (29 June 1908 – 19 July 1968) belonging to the Gaekwad dynasty of the Marathas, was a Maharaja of Baroda who succeeded his grandfather Maharaja Sayajirao Gaekwad III at his death in 1939. He ruled for a period of twelve years, from 1939 to 1951, when he was deposed by the Government of India and exiled to England.He was succeeded by his eldest son, Fatehsinghrao Gaekwad. He founded the Maharaja Sayajirao University of Baroda in 1949 as per the wishes of his grandfather, Maharaja Sayajirao, and settled the “Sir Sayajirao Diamond Jubilee and Memorial Trust” which exists to date, and caters to the educational and other needs of the people of the former Baroda State. He was a hedonistic spend thrift who had a tendency to squander his state’s money. He had inherited an estate that was conservatively valued in excess of $300 million (in 1939 dollars), which included an assortment of jewelry estimated value of $15 million. He went on a 1948 six-week tour of the United States, where he and his second wife were welcomed into the salons of high society. They spent a reported $10 million during their visit to America. The Indian Union did an audit of Baroda’s treasury after the widely read news reports. The audit concluded that the Maharaja had taken several inappropriate interest free loans from Baroda’s treasury. He agreed to pay the money back in yearly installments from his eight million dollar income. When India gained its independence from Britain, it also sought to absorb the princely states. This was a thorny issue, as technically the Princes were independent rulers and their states were private domains. The British withdrawal from India left a vacuum, with the British releasing the princes from their subsidiary alliances. However, most were militarily weak, and pressure from the new Indian Union resulted in the maharajas and other princes acceding their dominions to the one of the new countries of India and Pakistan. Pratap Singh was so distraught after he signed the Instrument of Accession for Baroda that he wept in the arms of V. P. Menon. His father was Yuvaraj Fatehsinghrao Gaekwad and his mother was Yuvarani Padmavati Bai Saheba. His father was heir apparent, but died at the age of 23, before he could ascend the throne. Yuvaraj Fatehsinghrao was a disappointment to his parents. 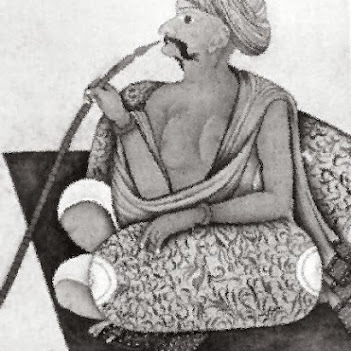 Yuvaraj Fatehsinghrao’s father, Maharaja Sayajirao Gaekwad III, abstained from alcohol, but Fatehsinghrao was alcoholic, which may have contributed to his early demise. Sayajirao was also disappointed in his son’s mediocre academic performance, which he attributed to his children having so much wealth and too few goals. Pratap Singh first married the daughter of a Sardar of Kolhapur, Shanta Devi Saheb. He had eight children with the Maharani. He ignored the anti-bigamy laws that his grandfather had imposed and in 1943 took for a second wife, a glamorous divorcée considered ill-suited for the exalted role of his consort, HH Maharani Sita Devi of Baroda. 1. 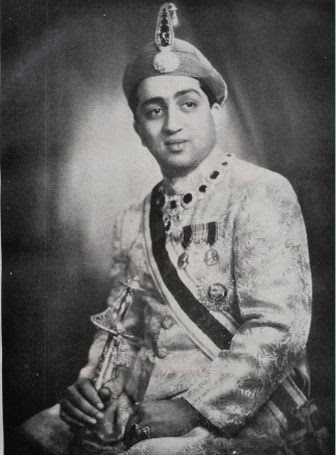 Fatehsinghrao Gaekwad II (2 April 1930 – 1 September 1988), who succeeded as the Maharaja of Baroda. 2. Maharajkumari Mrunalini Raje Gaekwad (25 June 1931-). Became HH the Maharani of Dhar and had a daughter. 3. Maharajkumari Premila Raje Gaekwad (17 April 1933-). Became the Rani of Jasdan and had a son and a daughter. 4. Maharajkumari Sarla Raje Gaekwad (1935-). Became HH the Maharani of Sawantwadi and had a son and a daughter. 5. Maharajkumari Vasundharadevi Raje Gaekwad (4 October 1936-). Became the Rani of Sandur and had three sons and a daughter. 6. Ranjitsinhrao Gaekwad (8 May 1938 – 9 May 2012), who succeeded his brother as the Maharaja of Baroda. 7. Maharajkumari Lalitadevi Raje Gaekwad (3 December 1939-). Married a Dr. Kirdatt and lived in the honour of her five children Aditya Kirdatt,Kavita Mohite,Sarita Shreyas, Shailesh Kirdatt and Chirayu Kirdatt (eldest to youngest). Maharajkumar Pratapsinhrao Sangramsinhrao Gaekwad (26 August 1971-). Married the daughter of General Suprasidha-Prasidha-Pravala-Gorkha Dakshina-Bahu The Rt Hon Pyar Jung Thapa, CAS of the Royal Nepalese Army. Maharajkumari Priyadarshini Raje Sahib Gaekwad (1975-) (Akhand Soubhagyavati Maharani Priyadarshini Raje Sahib Scindia, of Gwalior).